Kids are adorable on social media. They might be chaotic monsters and are pro at having melodramatic meltdowns in real life, but when that phone flash hits their cute faces, they are as composed as it gets. Being a mom is draining and exhausting, but everytime I’m on Instagram I forget about how kids usually behave in public and become mesmerized by the sweet moments that are shared online. While Internet-famous folks share designer photoshoots with their little ones, I hardly get them fully dressed in the morning without at least two tantrums. Those Instagram kids being all cute and grown up in restaurants? Well, I haven’t enjoyed a calm brunch without wiping spilt coffee. Taking turns in conversations? Is that even a thing for kids under six? I struggle just to get my turn in a civilized convo. Alas, Instagram is the land of delusion and brain washing. These next few celebrit accounts will definitely leave you with a baby fever, but here’s a sweet reminder. In real life, it’s a damn war zone. A staring contest gone well on Instagram? Only an Internet master like karen Wazeb can get that accomplished. A toast without spilling anything on our outfits? Well, thanks Nour Arida for raising the bar for us! Curls for days? 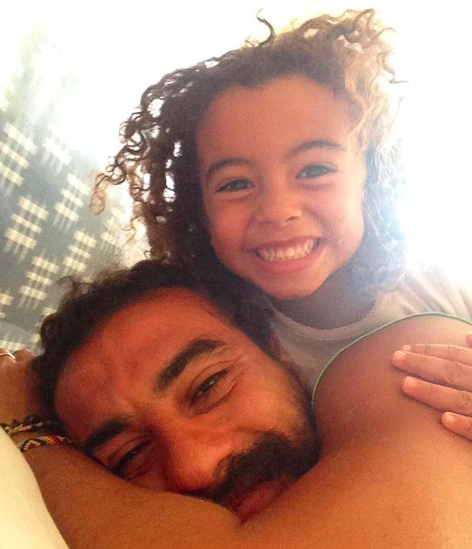 Nabil Rostom and Norshek always share the cutest child/parent moments. This is what the first day of school looks like when you’re fashion designer, Mrs. Keepa. The gorgeous Enjy Kiwan with her equally gorgeous boys in matching outfits during a photoshoot . Salama Mohamed and Khaled Al-Ameri have always been vocal about embracing a child with autism. Their accounts are both inspirational and empowering to so many parents out there. 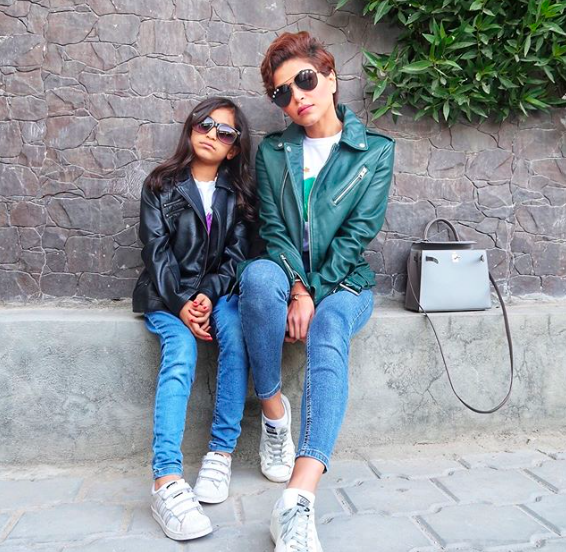 Kuwaiti fashion influencer an engineer, Noha Nabil, shares the fiercest mommy/daughter moments with her 6.8 million followers. Kuwaiti Doctor Kholod rocks maternity style with a cute little girl in a matching outfit. WE SAID THIS: My 2019 resolution: Prove taking composed photos with kids is possible.